Freezer Friendly Egg Muffin Baked Omelette | Homemade & Yummy Homemade & Yummy | Fun delicious recipes and more. Do you like having breakfast for dinner? We sure do. 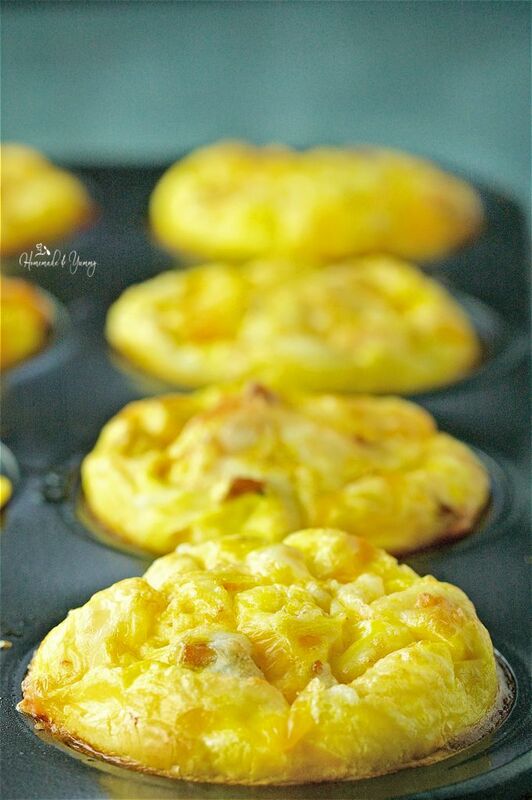 Freezer Friendly Egg Muffin Baked Omelette is perfect for breakfast, brunch or dinner. 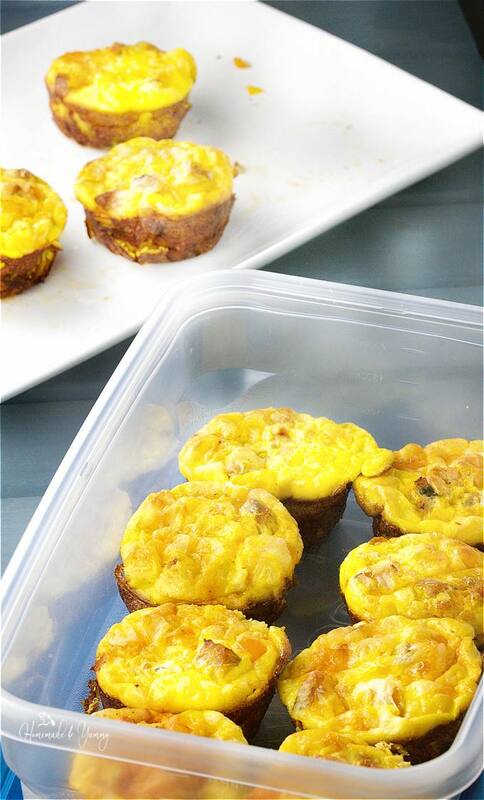 Have you tried an omelette baked in a muffin tin? What a neat way to make this breakfast egg bake. Classic omelette ingredients are baked into the perfect “hand-sized” grab and go breakfast. There are never too many ways to enjoy an egg. Perfect for breakfast, like in these biscuits, lunch or dinner. 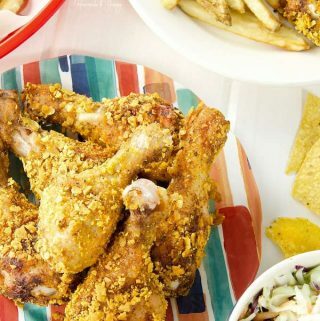 Great to whip up for a single meal, or to feed a crowd. 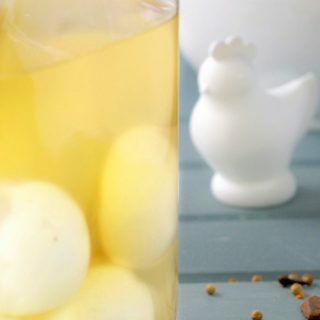 We always have hard boiled eggs in the fridge for a quick breakfast or snack. This egg muffin baked omelette is perfect for busy mornings. They say breakfast is the most important meal of the day. Often “grab and go” is the only way you have time to eat it. Make ahead options work well. Have you tried baked breakfast donuts? Life is so busy…ALL THE TIME. There are never enough hours in the day it seems to get everything done. 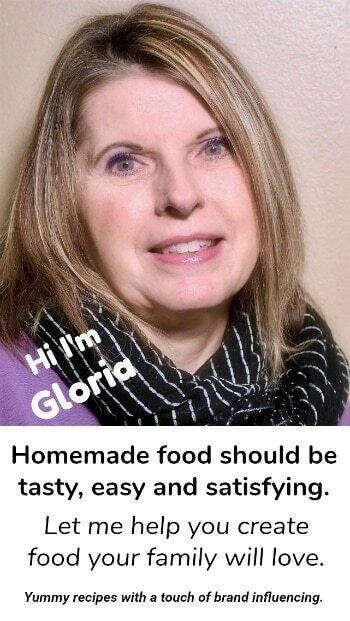 Cooking nutritious meals can be a challenge. Eggs are so nutritious, we enjoy them ALL day long. We love having BREAKFAST FOR DINNER. Poached Eggs & Lentil Hash is a favourite around here. I am all about batch cooking. When life gets hectic, it is always nice to know I can pull something out of the freezer for dinner. Takeout is expensive, and usually not very nutritious either. 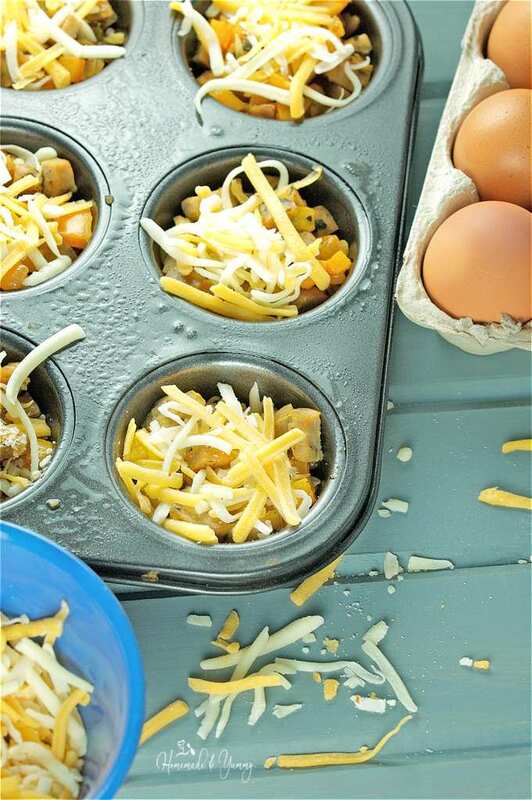 Muffin tin omelets are easy to make. BONUS POINTS too since they are freezer friendly! YES, you can freeze omelettes! 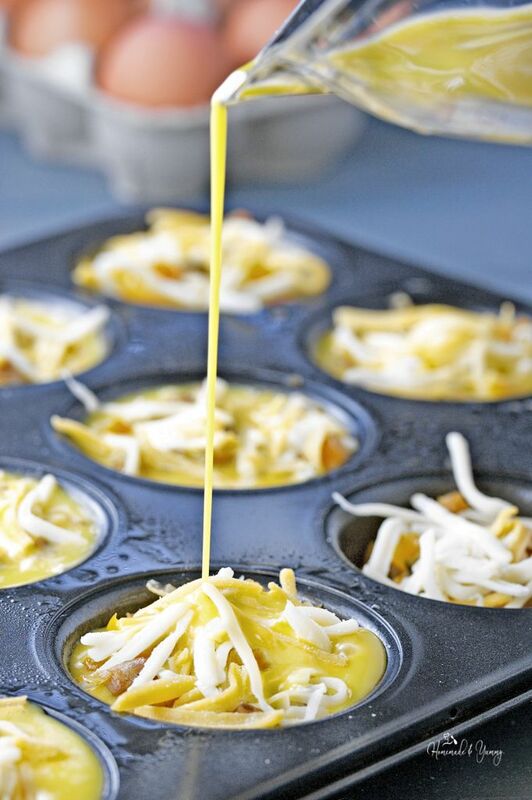 These muffin tin eggs are a true time saver. You know what I’m talking about. Those days when you have to be in 3 places at once. You have to take the kids to hockey, dancing, piano lessons, you have a dentist appointment…and oh yeah, you need to go buy a birthday gift for the party on the weekend. Sound familiar? Reheating these baked frozen omelets is so much better than takeout. Some recipes are so easy to double up. Why not make extra to tuck away for another day. 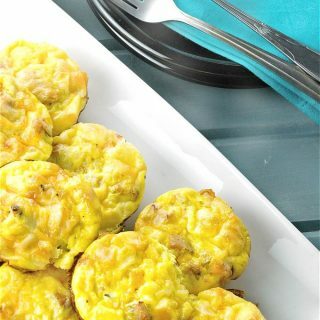 Muffins, soups, stews, and these Freezer Friendly Egg Muffin Baked Omelettes are perfect to batch cook. I can’t tell you how many times my “freezer meals” have saved the day. After all, breakfast omelettes can just as easily be dinner omelettes, right? For this egg muffin baked omelette recipe, I used chicken sausage, onion, red pepper, and cheese. Fry the sausage in a skillet. You can drain any excess fat from the pan. Add some chopped onion and peppers. Once that is cooked, set it aside. In a measuring cup crack some eggs and whisk. Add some milk (or even cream) if you like, totally up to you. Generously spray your muffin tin to prevent sticking. Depending on the size of tin you use (mine was a 12 cup), add about 1/4 meat mixture to each cup. Top with cheese, pour in some egg mixture and bake. These egg muffin omelettes puff up so nicely. Baking eggs in the oven is a fun and delicious way to enjoy them. Serve these alongside some hash browns, or even a salad. 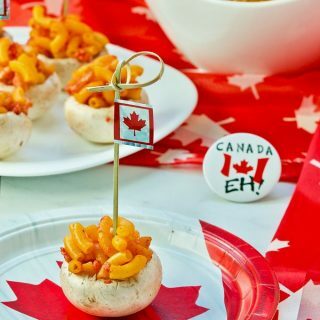 Great for little hands to hold onto, and perfect to feed a crowd. Pop leftovers into a freezer container. 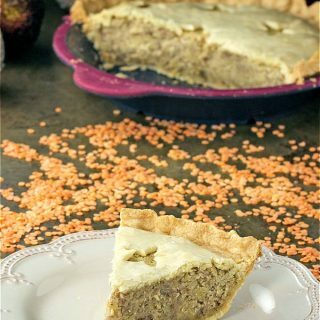 Easily reheat in the oven or microwave for a meal or two on another day. Eggs are so versatile, and you can make them so many ways. In our house, we like eggs all ways. Our favourite way is bacon and eggs on the BBQ. Yup, I can’t wait for grilling season to start. Weekend brunch is so good, and hubby does the cooking!! Devilled eggs always are a hit. 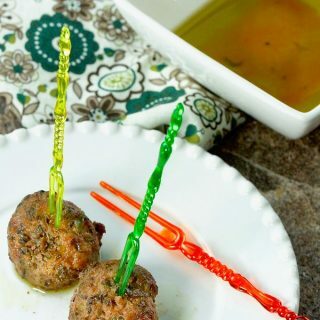 The Green Devil is a favourite party appetizer. Not only do they look neat, but the combination of egg and avocado is also delicious. How do you hard boil eggs? Seriously there are so many variations for this simple task it makes it seem complicated. My favourite way is the cold water method. 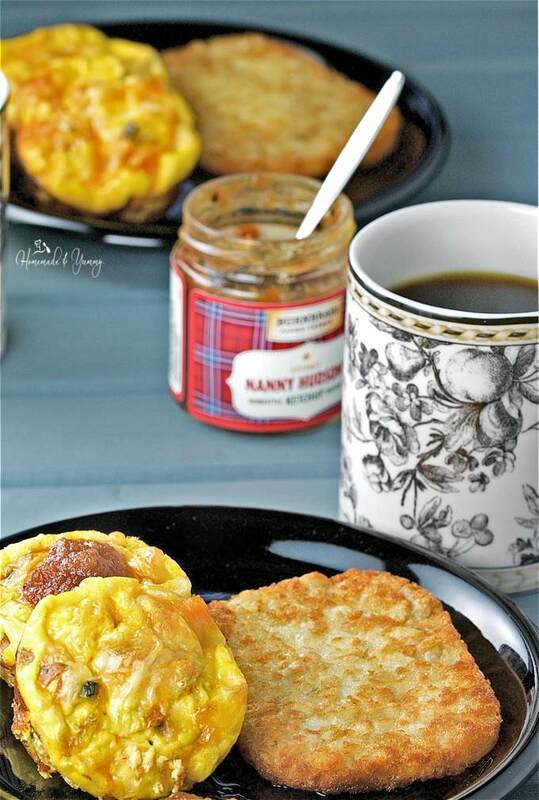 When you feel like breakfast for dinner, Freezer Friendly Egg Muffin Baked Omelette is a great healthy and delicious choice. You might be lucky enough to have leftovers for breakfast in the morning. Sign up for my WEEKLY NEWSLETTER and grab your FREE printable. FOLLOW ME on social media too!! 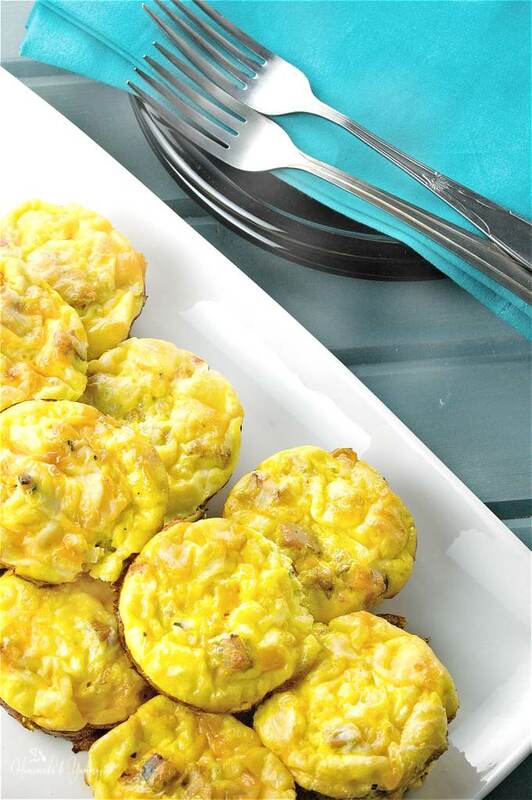 Freezer Friendly Egg Muffin Baked Omelette is great for breakfast, brunch or dinner. An easy way to feed a crowd. Classic omelette ingredients are baked into the perfect “hand-sized” grab and go breakfast. Preheat oven to 375º F. Generously spray a 12 cup muffin tin. In a frying pan, cook the sausage. Drain any excess fat. Add the diced onion and cook for 5 minutes. Add the red pepper and cook for 1-2 minutes. Season with salt and pepper. Set aside. Break eggs into a measuring cup (this makes it easier to pour). Using a wire whisk, whisk well. If you are adding milk or cream, add and mix well. Get your prepared muffin tin. Add approximately 1/4 cup of the meat mixture into each of the cups. 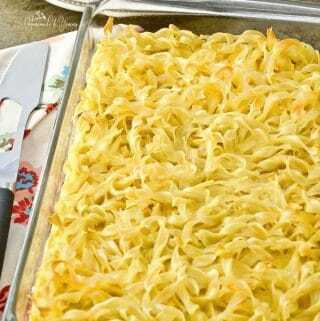 Top with about a tablespoon or cheese. Pour in some egg mixture to fill the cup. Bake for approximately 20-25 minutes. Remove from oven. Let cool slightly. Loosen with a plastic knife or a spatula. These are perfect for batch cooking. To freeze, place cooled muffins into a freezer container, seal and freeze. To reheat, place frozen muffins in a 325º F oven until warm, or you can reheat in the microwave. I love that these are freezer friendly. 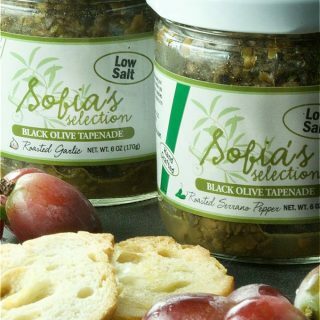 They are perfect for busy mornings or when you just need a quick snack. I need to make more of these soon. I can never have enough of egg muffins. 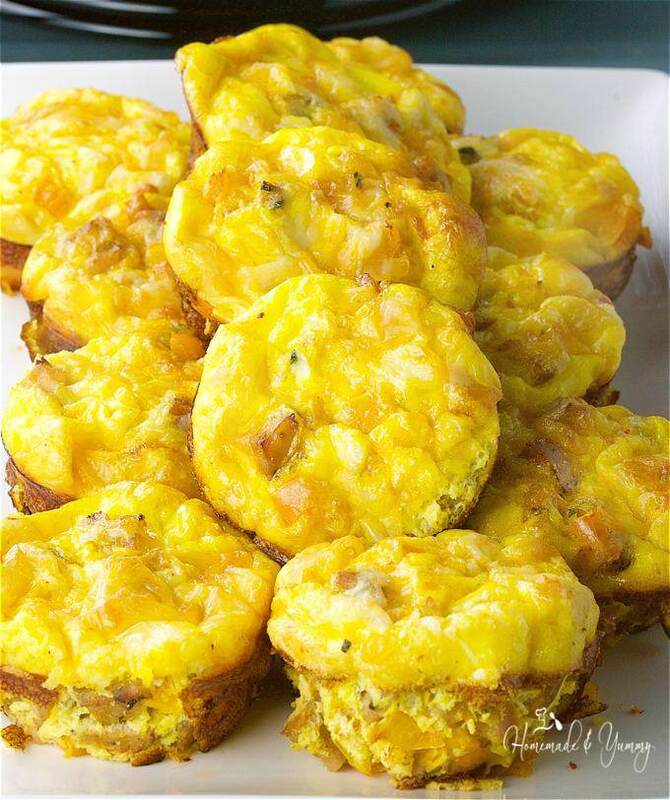 Loaded with all goodness egg muffins are simply the best breakfast one can ever have!! 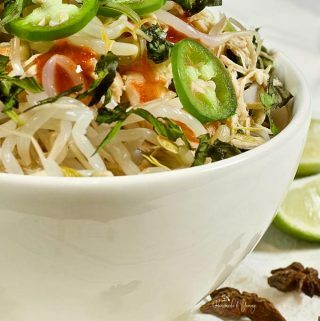 Such a quick and healthy meal…especially for those busy mornings. I’m always looking for easy breakfast ideas and these fit the bill. 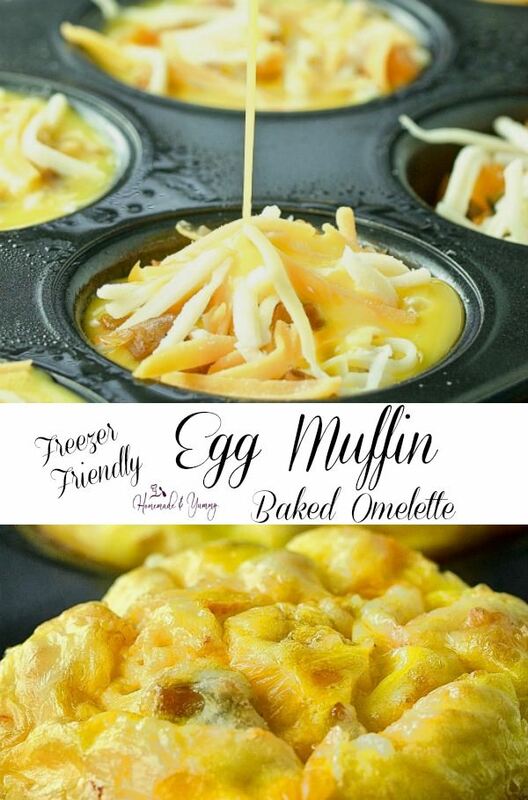 I haven’t tried freezing baked omelette muffins before but I’m going to try because it is such a great idea for a quick breakfast on the go! 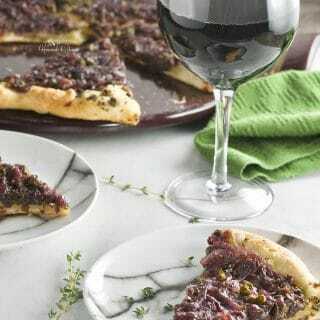 This is such a great recipe…hope you give it a try. Best part is make it the way YOU like it. I’ve been eating a lot of frozen and reheated muffins lately… this is a much healthier option for night owls like me! Mornings are not my jam, but somehow breakfast is lol! Can’t wait to give this method a try. Yes since you can make these and freeze them, they make a much healthier choice for sure. 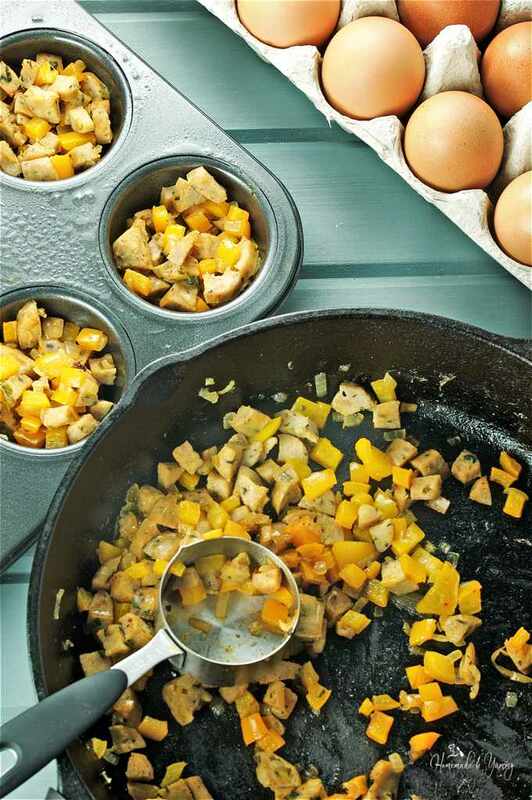 Do you find the egg muffins stick to the pan much when adding vegetables to it? I have a similar breakfast egg muffin recipe with three different flavor combos on the Earth, Food, and Fire website, but find that they stick quite bad when adding veg to the eggs. I’m assuming its due to the moisture content. I’m not a fan of pan spray and use butter to line my pans instead. I’ve also found that lining the muffin cups with a strip of bacon works quite well. Of course thats an issue if your vegetarian. Do you have any other tips? 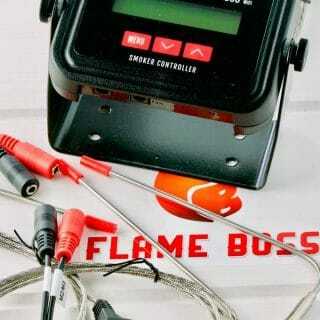 Yes the can. If you like, try the silicone muffin trays. That seems to help. 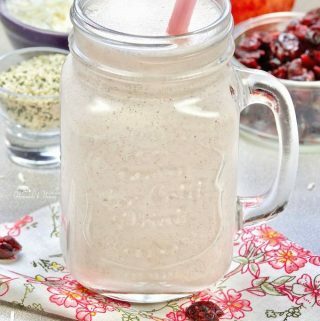 Id love to have these in the freezer most mornings so I wasnt whipping a last minute shake up! The chicken sausage especially sound perfect in them!! Putting the ingredients on my list to give them a try! ENJOY…I need to make another batch soon. We are ALL out…and they are so good for a quick and healthy breakfast.